We are interested in the numerical simulation of large scale phenomena in geophysical flows. In these cases, Coriolis forces play an important role and the circulations are often perturbations of the so-called geostrophic equilibrium. Hence, it is essential to design a numerical strategy that preserves a discrete version of this equilibrium. 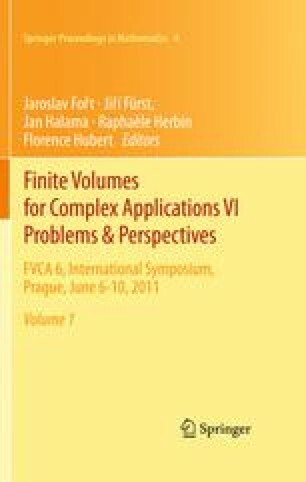 In this article we work on the shallow water equations in a finite volume framework and we propose a first step in this direction by introducing an auxiliary pressure that is in geostrophic equilibrium with the velocity field and that is computed thanks to the solution of an elliptic problem. Then the complete solution is obtained by working on the deviating part of the pressure. Some numerical examples illustrate the improvement through comparisons with classical discretizations.